[Bintray Upload] Bintray response: 403 Forbidden. Version ‘0.6.0.1’ has been published for more than 365 days. Files can only be uploaded to a version within 365 days from its publish date. [Bintray Upload] Bintray response: 403 Forbidden. Files from version ‘0.6.0.1’ can’t be published. Files can only be published within 365 days from the version publish date. dpl_0 1.79s$ rvm $(travis_internal_ruby) --fuzzy do ruby -S gem install dpl Fetching dpl-1.10.7.gem Successfully installed dpl-1.10.7 Parsing documentation for dpl-1.10.7 Installing ri documentation for dpl-1.10.7 Done installing documentation for dpl after 0 seconds 1 gem installed 2.80s dpl.1 Installing deploy dependencies Fetching dpl-launchpad-1.10.7.gem Successfully installed dpl-launchpad-1.10.7 Parsing documentation for dpl-launchpad-1.10.7 Installing ri documentation for dpl-launchpad-1.10.7 Done installing documentation for dpl-launchpad after 0 seconds 1 gem installed dpl.2 Preparing deploy dpl.3 Deploying application Done. Your build exited with 0. I think the simple approach is to merge it into develop, unless it’s big enough to merit its own feature branch, and make it the rule that the issue can’t be closed until the agreed testing has been done, whatever that is. Ideally, the testing requirements would be identified at the beginning of the process - before anyone starts hacking. It seems to me our build requirements are pretty “normal”, so it ought to be possible to get daily (sorry, dayly) builds going for all platforms, and helpful if we want real users to test/check specific features. Here is a screenshot that shows the existing “slots” where a built version of Seamly2d gets stored. Most of this process was set up before I ever became involved. I added the slots for windows and mac versions of daily builds. The launchpad version of daily build was already set up, though it is not precisely daily. Because I acknowledge that I do not come into this project already knowing everything and because I believe in “first do no harm” I have avoided doing anything that will make a noticable impact to new users. 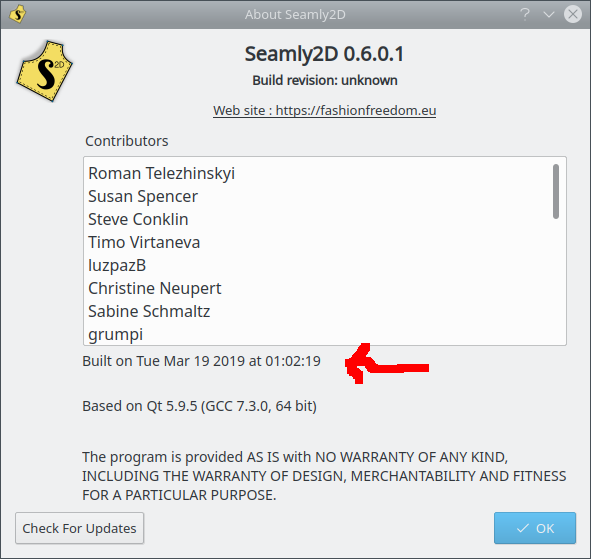 For those reasons I have not touched “Seamly-2D-win-release” or “Seamly-2D-mac-realease”, though @slspencer continues to work to get resources in place and I believe a new release is on the horizon. The “Seamly2D-win_auto-upload” and “Seamly2D-mac_auto_upload” are “automagically” created when an “official” build of the development branch off github completes successfully. The ability to access and change those slots and build procedures is password protected and @slspencer controls the passwords. 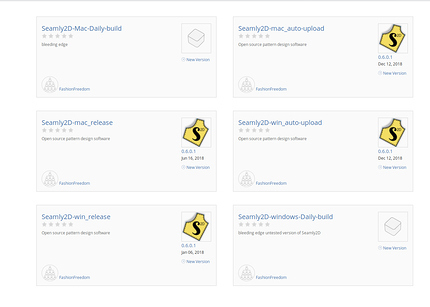 I personally created the slots called "Seamly2D-win_daily-build’ and “Seamly2D-mac_daily-build” . Nobody has done anything with them yet. so it ought to be possible to get daily (sorry, dayly) builds going for all platforms, and helpful if we want real users to test/check specific features. define a set of operating systems and configurations that “WILL be supported” and make a policy that others “WILL NOT be supported”. This does not preclude members of the community, including myself, from attempting to give support or advice to users who have the talent and will to make the software work on some other platform. much more that I have not thought of and you and others are heartily welcomed if you feel willing and able to contribute. and run the test build. I understand the potential conflicts between this and the “production” PPA. This did not happen because I (or anyone else) did not change the version from 0.6.0.1. I know how to fix this but do not choose to exert the effort until we are ready to prepare a new release after cleaning up the master and release branches on github. The Launchpad build did correctly happen and if you use apt-get from the “dayly-build” ppa, which I do, you can run it. Below is a screenshot of the version. So I get confused when these things don’t happen." I will summarize the several long messages (below in this thread) that I wrote. The “latest build” did not break. are the latest and they were successful. The one you looked at which appeared broken was because of something I did, and then corrected. The build was still in progress when you looked. @Calum fixed a minor bug then created a pull request and submitted the fix. I merged the fix and that triggered the latest, successful builds and here we are. The “fix” is not even close to controlling how the main graphics view area scrolls. Changing the QAbstractScrollArea::SizeAdjustPolicy to AdjustToContents only serves to set the size hint on how the scroll area is to adjust the layout size when the MainWindow->view widget size is changed. It does not change the scrolling movement. Scrolling is custom controlled in the VMainGraphicsView and GraphicsViewZoom classes and consists of a series of related zoom & scroll functions that respond to mouse, wheel, gesture, and keyboard mod events - along with the use of a few QTimeLIne classes. It’s not a minor tweak if you take into account that the scrolling / zoom speed should not be fixed, but a user preference. Which is what I did way back before the Seamly fork was useable. In additIon to adjusting the scroll, zoom & wheel speeds, I added an option to turn the scrollbars off, and a tool to “zoom to rubberband area” - which IMO when used with the pan & wheel zoom tools renders the scrollbars that only take up screen space - useless. There’s also an option to set the scrollbar size in the case where one still wants the scrollbars, but to reduce the footprint.